It has long been a hobby of mine to sneak into movies and videos, and my friends here at Slap the Penguin used to document my activities. For some reason, those posts went missing during the change from 'My Twist News' all those years ago. We have finally got back together to restart that great tradition and remind everyone how versatile and photogenic I can be. 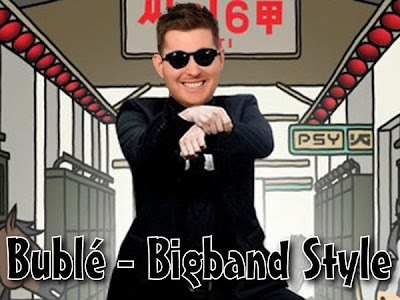 This is me doing my version of Gangnam Style called Bigband Style. Enjoy.